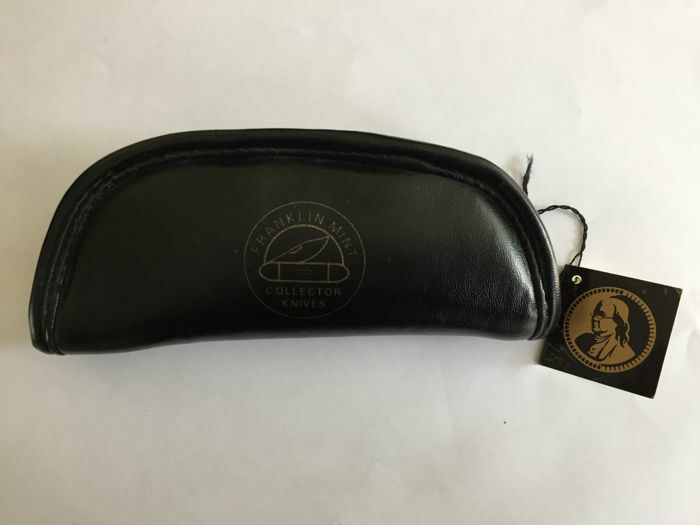 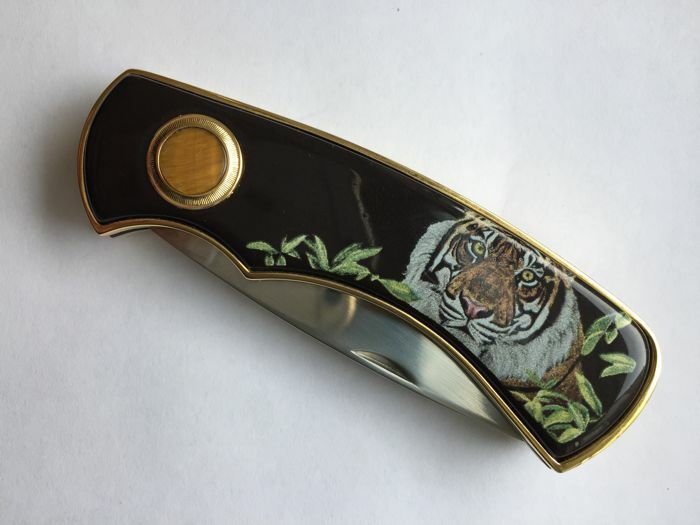 The Franklin Mint states that the Siberian Tiger Collector Knife is the very first collector’s knife authorised and authenticated by the International Wildlife Coalition and bears the original art of J. Nahra. 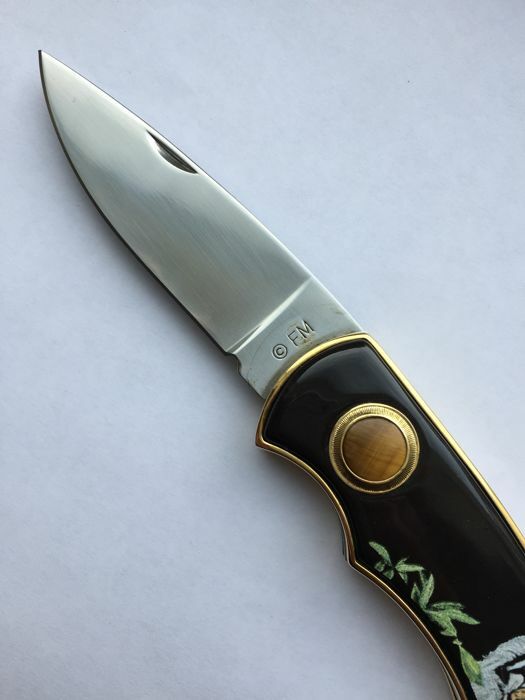 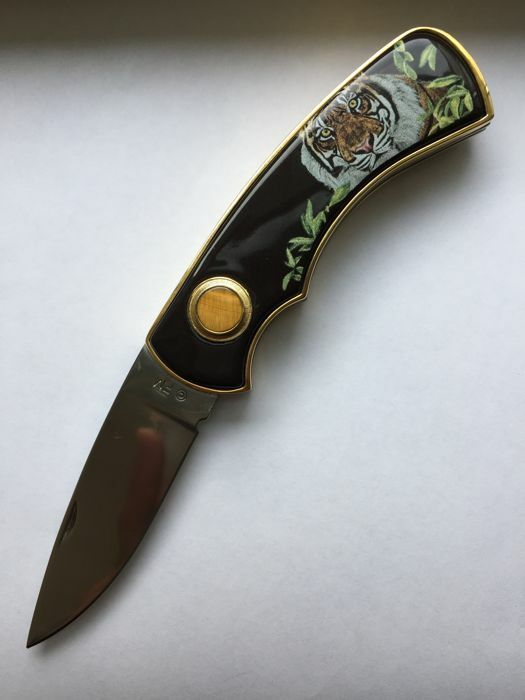 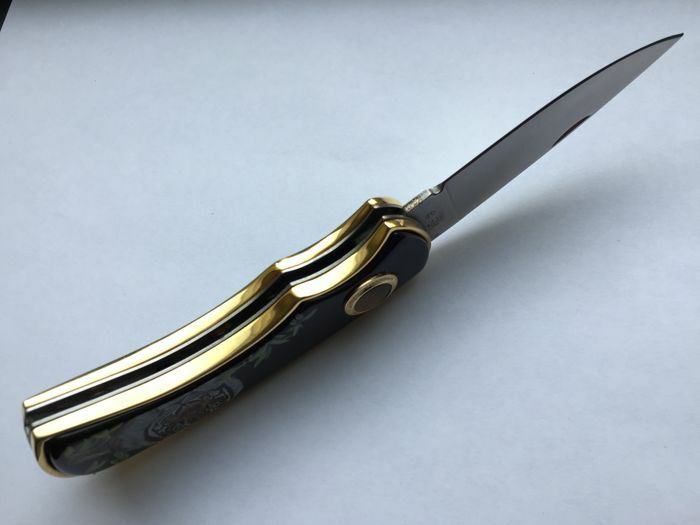 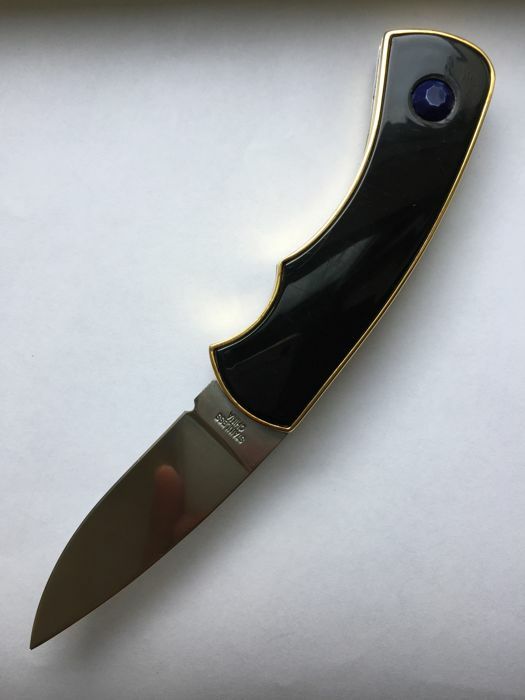 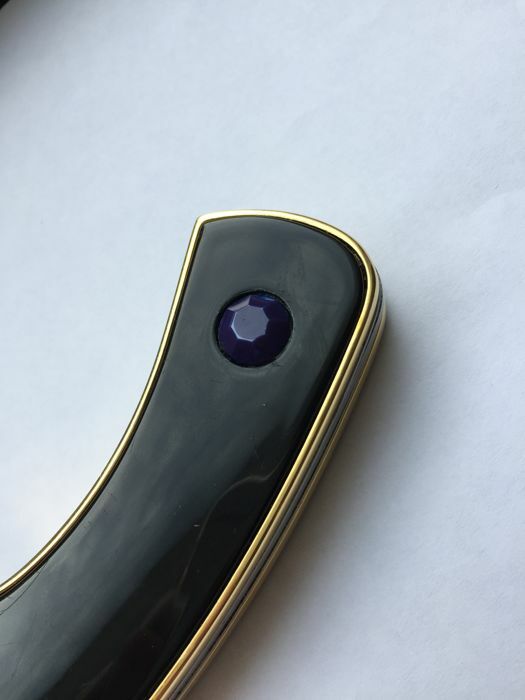 It is also certified that this first class army knife has an original portrait of a Siberian Tiger on the handle, complemented by a natural Tiger Eye gemstone and accented with 24 karat gold. 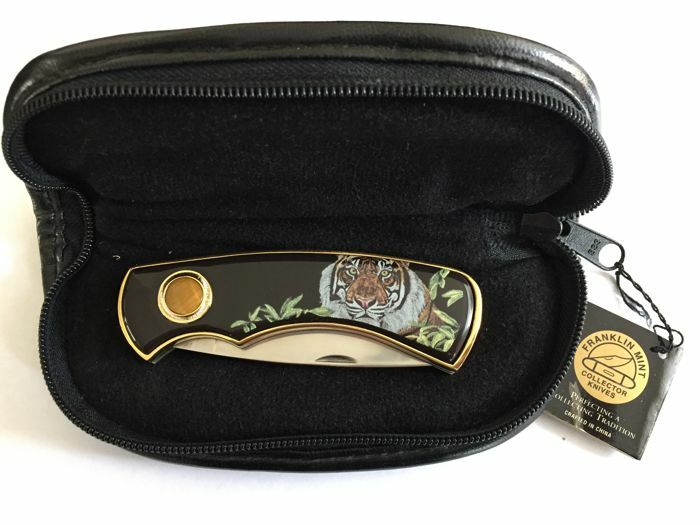 The knife has its own individual case. 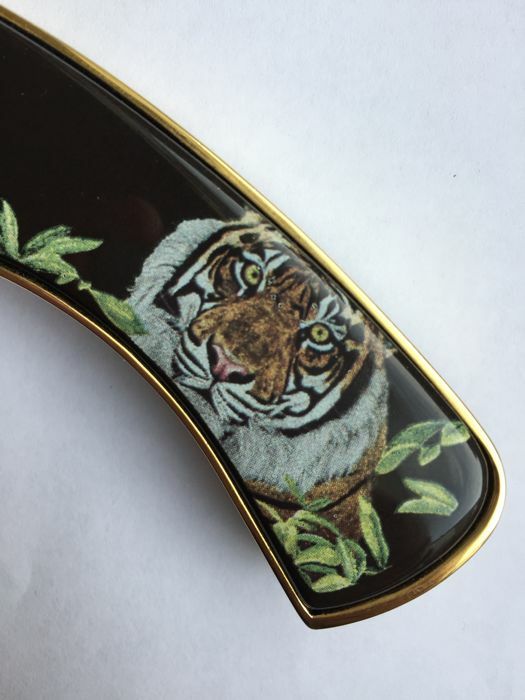 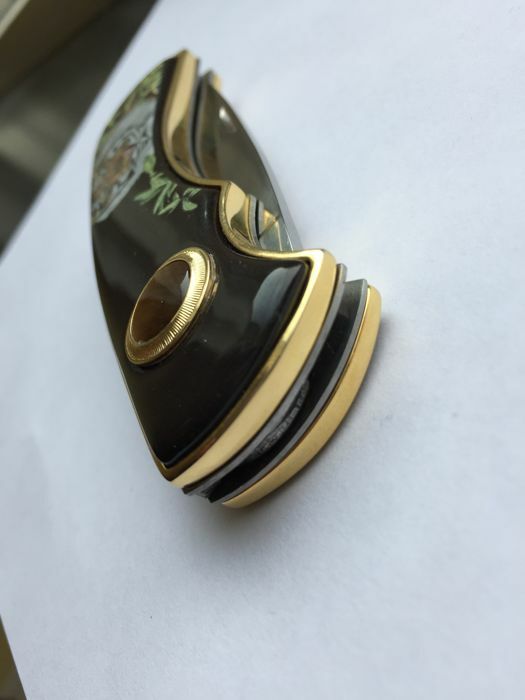 Design of the handle: natural Tiger Eye gemstone with original Siberian Tiger art. 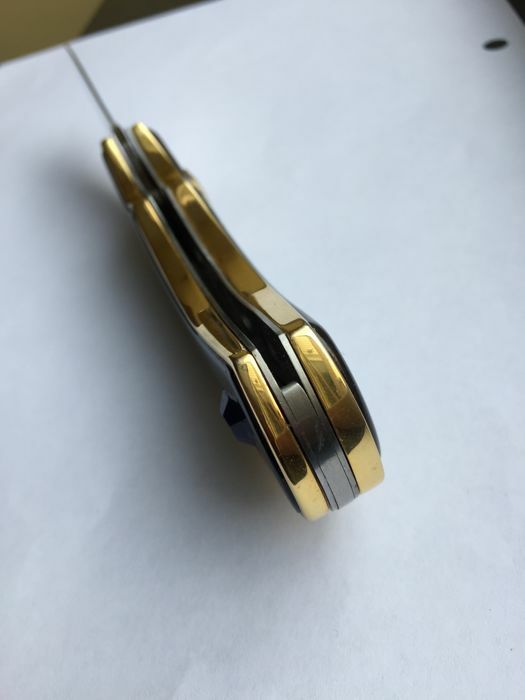 Number of sheets: 1 blade range: 2.76 - 4 inches.